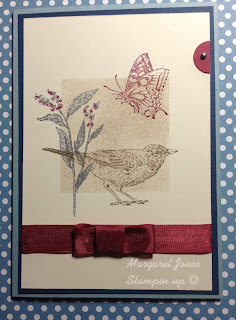 As we are well into Sale-a-bration I thought that I would make a very quick card using some of the stamps that you can get for free with an order from the current catalogue that exceeds £45. To round off all the butterfly posts that I have made, finally we have the three cards that we made at our Stampin up event on Saturday. The title of the event was "Butterflies, Birds and bees and each card contained one of each. All ladies enjoyed making them . If you like to join us for our next event please get in touch and I will send you all the dates. Yesterday at our Stampin up event which was attended by 20 lovely ladies, Aly had prepared a beautiful project on the theme of butterflies. Several of the ladies put their own ideas into the design and so they all looked slightly different, they were all beautiful and the ladies really enjoyed making the project. I can't wait to have a go at it myself. Our next class is on Saturday 2nd March, so if you would like to join us please let me know. We had a good day at our Stampin up event with 20 lovely ladies. We made a gorgeous 3D project using a frame which I will show you tomorrow. Today I am going to show you one of the samples that I had made for the display table. I saw this on Pinterest some time ago and adapted it using different colours. When our supplies arrive from Stampin up they re protected in the box with lots of brown paper. I used this brown paper and cut out scallop circles which I scrunched into flowers and then stuck them to the polystyrene wreath. I finished off with butterflies cut in various sizes. 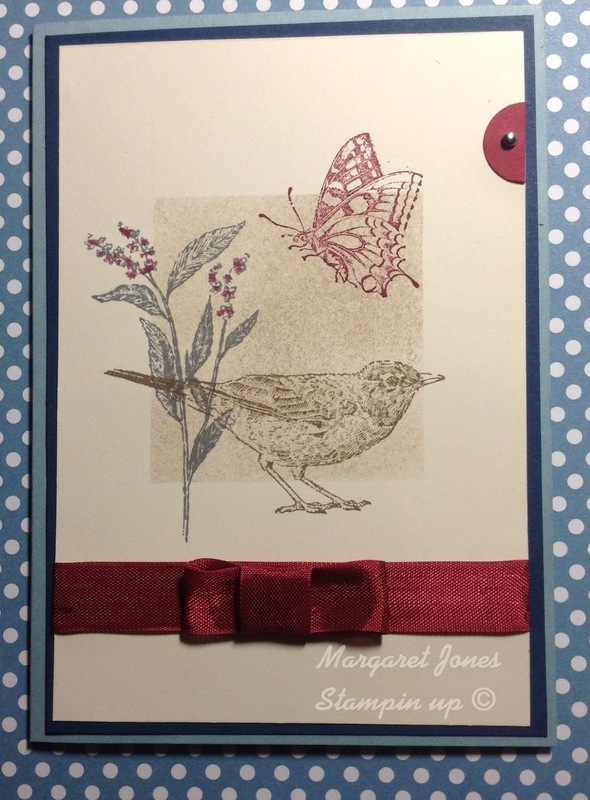 Recently you may have noticed , I have been making several cards with butterflies on them. Some of these are for our display table for next weekends Stampin up class. Today's card features some of the products from the Spring/ Summer catalogue which will be available from 1st February. I hope that you are all enjoying your weekend, either enjoying the snow or taking home and doing some additional crafting. The card that I have made today uses the lovely stampset Papaya Collage and I have made it for a friend at work who has just lost her Mum,just wanted to let her know that we are thinking of her. This is the view from the window of my craft room and this is where I am staying. The snow started about 5ish and it has not stopped yet. I have lots of prep to do for our Stampin up class next weekend so good chance to get it done. There are still a few places left for the class which is titled Butterflies, Birds and Bees, so if you would like to join us please either Aly or myself know. I have wanted to make a stair step card for a while, and as I am currently preparing some ideas for the display table for our next event on 26th January so I thought I could do both tasks at the same time. All these items can be purchased through me so if you would like to purchase any of them please contact me. There are still a few spaces left for our crop on 26th January when the title of the workshop is Butterflies, Birds and bees ,we have some lovely projects to share with you so we would love to see you. Happy New Year to you all. I hope that you all enjoyed yourselves. I have lots of new ideas that I want to share with you over the next few months. 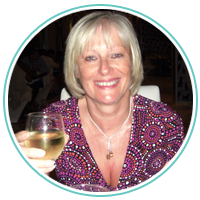 To whet your appetite I am showing you one of the simple cards that I have produced for the display table for the event.